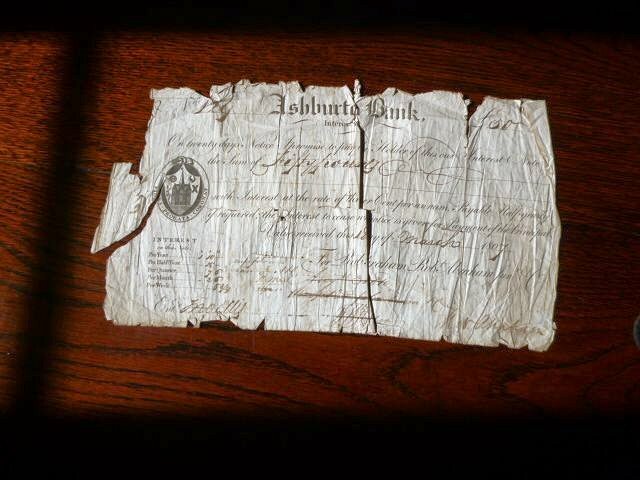 Above: The above document is difficult to read, but it appears to be a promissory note issued by the Ashburton Bank and signed by Robert Abraham. The date is 1807 and the amount involved is £50 – the note sets out the terms and amounts of interest that the bank will pay to a depositor. Many thanks to Roger Collicott of Roger Collicott Books, Moretonhampstead for this item.